Congratulations, Shamel, on this incredible honor! 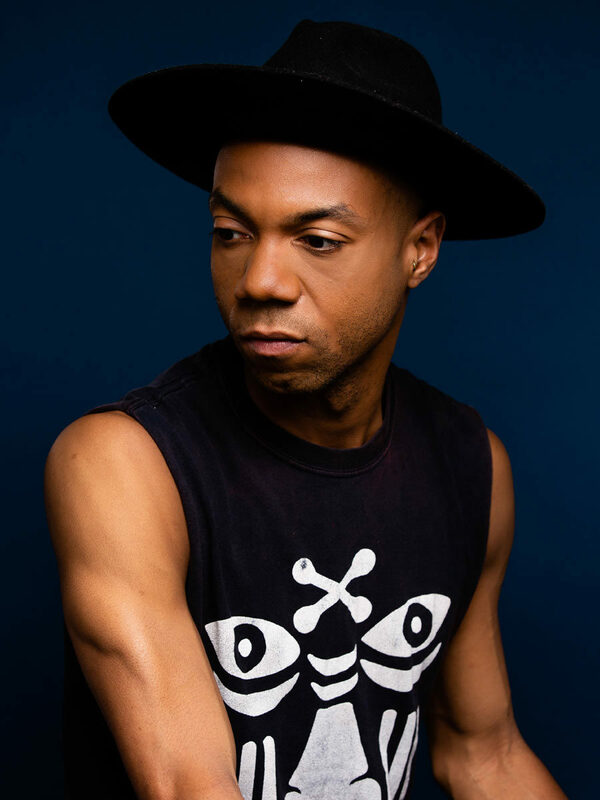 Gibney Dance Company Co-Director, Nigel Campbell, sat down with Shamel Pitts to discuss the award and his upcoming commission for GDC, set to premiere this fall. NIGEL: First of all, congratulations on winning a 2018 Princess Grace Choreography Fellowship! How are you feeling? SHAMEL: Well, thank you very much. I am very excited, grateful, and overwhelmed by this reception and this Fellowship. I have known of the Princess Grace Awards for many years, and I have seen the incredible artists who have received this award. To be a part of such an outstanding group of artists is incredibly humbling and propelling. I’m looking forward to engaging a larger audience with my artistic work as a new family member of the Princess Grace Foundation. Thank you to you, and to Gibney for the nomination. It’s a win for all of us, actually! NIGEL: Absolutely, and welcome to the PGF family! So, this Fellowship supports your upcoming creation with Gibney Dance Company this November. We are so excited to have you come in and work with the Company and we can’t wait to dive in to this process with you. Can you tell us a little bit about this creation and what we can expect? What kind of ideas are you exploring, and what are you looking forward to about the process? So, the title of the new creation will be Menagerie, which is a word I’ve found through reading Tennessee Williams The Glass Menagerie. Menagerie derives from the french word ‘menage,’ which refers to a strange or diverse collection of members of a household. NIGEL: Wow, I did not know that. Can you say more about that? SHAMEL: There is something about playing with words and their many meanings that I always find interesting. The ability for a word to carry various meanings lends the possibility for a new perspective on the subject and its content. So, all of this got me to the title of Menagerie. I am interested in seeing how this plays out with the dancers—the different elements of home, the multiplicity of it, and all the things that can be carried inside of such an environment. NIGEL: What’s exciting to me about getting to share artistic space with you, and be in the studio with you, is the fact that New York City is our home. It’s interesting seeing the continuation of our personal and artistic relationship, with each of us having lived in all these different places, and thinking about the ways that you really find a home in people. I’ve felt in all of my travels, actually, that you have been a grounding force of home for me. I remember when I got to see your creation Black Box performed in your home in Tel Aviv. The excitement I had to witness the work, and all of your what I now call “radical sharing.” GDC was then able to bring in that work this spring, which was an exciting extension of our relationship to you. I’d love to hear your perspective on this growing relationship with GDC, and what that means and looks like for you. SHAMEL: Yeah, it’s interesting because I have been teaching Gaga on and off for the past few years at Gibney. I am familiar with it as an environment and platform for the dance community, and I’ve witnessed it growing and reimagining itself as a home for dance in not only New York City, but the country as a whole. It’s exciting for me to see this growth and this focus. Talking about home: you are my brother and my family. You saw it when you came to my previous home, Tel Aviv, to witness my first performance of Black Box. It’s kind of beautiful that you now invite me to your new home as Co-Director of GDC with this commission. I am thrilled! NIGEL: Shamel, we are thrilled to have you and ecstatic that you are a 2018 Princess Grace Award winner. Everybody here at GDC is looking forward to sharing artistic space with you, growing together, and challenging each other to unpack these ideas of what home means to each of us. SHAMEL: I’m looking forward to being a part of it. 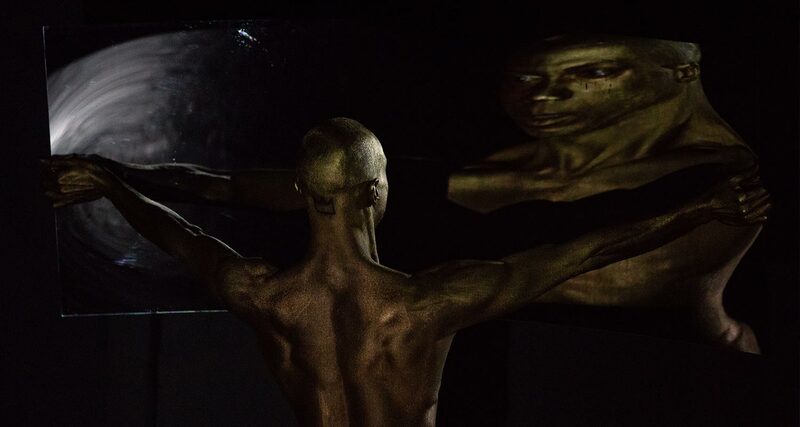 Images: Shamel Pitts in BLACK BOX: Little Black Book of RED. Copyright Gibney, photos by Scott Shaw.